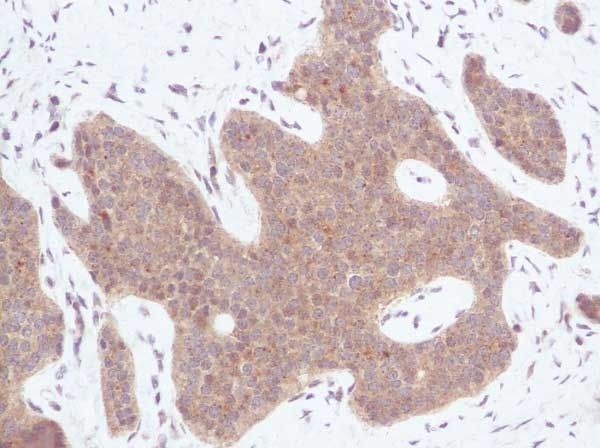 Rabbit anti Human IP-10 antibody recognizes human IP-10 (10-kDa interferon-inducible protein), otherwise known as CXCL10, a 77 amino acid CXC chemokine which, like monokine induced by IFN-gamma (Mig) and IFN-inducible T-cell alpha-chemoattractant (I-TAC), signals through the CXCR3 receptor. 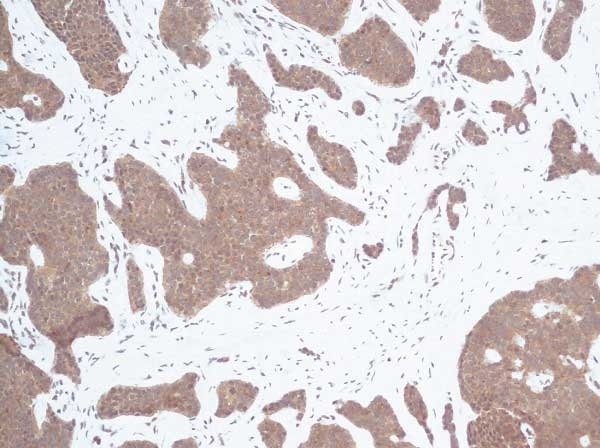 IP-10 acts as a chemoattractant for Th1 lymphocytes and natural killer (NK) cells and is secreted by a variety of cells, including neutrophils, monocytes, keratinocytes and epithelial cells, in response to interferon gamma (IFNgamma) and lipopolysaccharide (LPS). 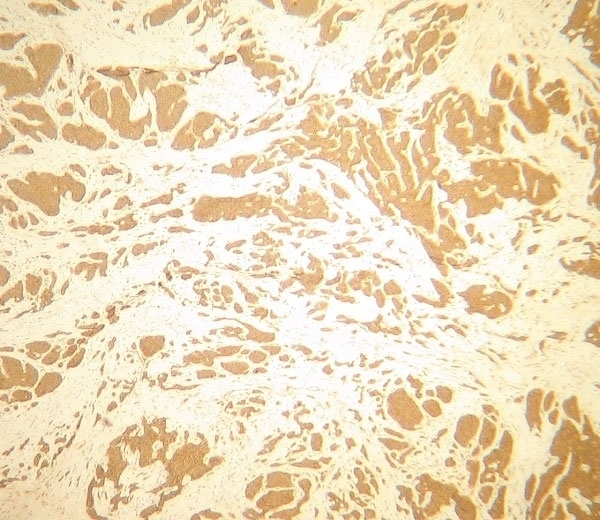 IP-10 is thus associated with several clinical conditions linked with Th1 type immune responses and raised IFNgamma expression, such as psoriasis, sarcoidosis and viral meningitis. In addition, studies have demonstrated the ability of IP-10 to suppress the synergistic action of stimulatory cytokines on hematopoietic progenitor cell proliferation. Antisera to human IP-10 were raised by repeated immunisations of rabbits with highly purified antigen. Purified IgG prepared by affinity chromatography. Cox, M.A. et al. (2001) Human interferon-inducible 10-kDa protein and human interferon-inducible T cell alpha chemoattractant are allotopic ligands for human CXCR3: differential binding to receptor states. Mol Pharmacol. 59 (4): 707-15. Sauty, A. et al. 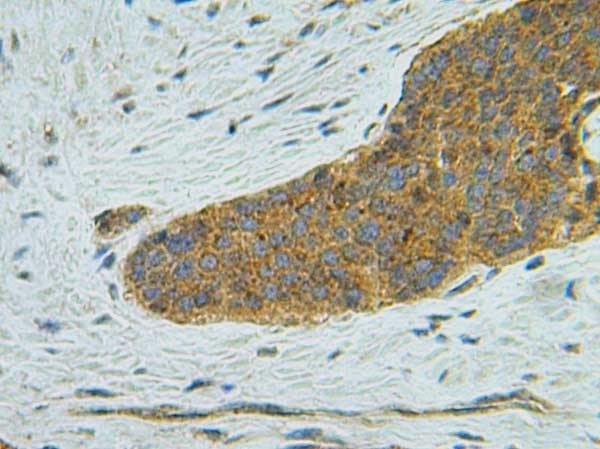 (1999) The T cell-specific CXC chemokines IP-10, Mig, and I-TAC are expressed by activated human bronchial epithelial cells. J Immunol. 162 (6): 3549-58.